I’ve been called a lot of things (including, “lawyer”), but one thing I can be proud of is never having been called a liar. I’ve been saying that appropriation-for-appropriation’s sake is nothing but pure formalist laziness, pretty much since I was born (evidenced here), and others, like this law review article, have also opined on how the Cariou v. Prince case makes no distinction between the right of copyright holder to “transform” her copyrighted work and a secondary user’s fair use right, upheld by a “transformative” judicial standard. Leave it to a Illinois-based judge to pen identical thoughts. 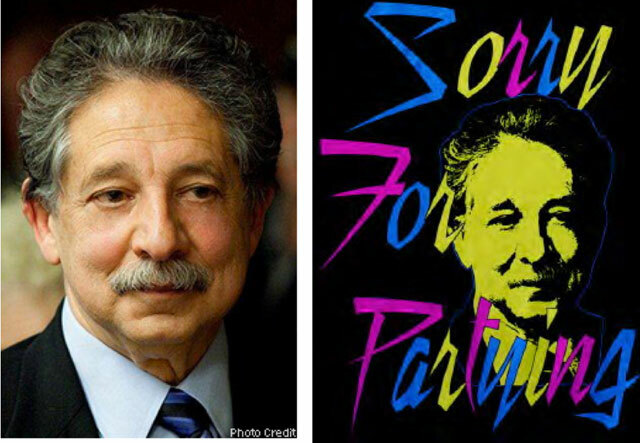 The case concerns the use of a photo of the mayor of Madison, Wisconsin on some t-shirts (see pic above), where the photographer sues the appropriator for copyright infringement. That thought alone eviscerates the post-modern art-is-holier-than-anything-else dictum that so many in the art-world and some art lawyers love to profess. The author may be dead in MFA and art history programs, but it’s pretty much still alive in the world of law. To conclude my rant, Easterbrook and the 7th Circuit find the use of the photo, in this instance, to be fair use. What I want you, keen reader, to keep in mind as you put head-to-pillow tonight, is why the 7th Circuit would go out so far out of its way to criticize the 2nd Circuit. Do you think, keen reader, that perhaps they are welcoming a Cariou v. Prince-like case in the 7th Circuit? Just sayin’.